Medicine Papai Joy Liquid helps in skin allergies, skin tanning, pigmentation, wrinkles, rough pale skin etc. Papai Joy contents Vitamin A & sugar so it works in both oily & dry skin complaints & even on mix skin texture. Orally take 2 tablets Tanvishataa, 1 Tanvijyeshta 1 Vatshaanti. Tanvi Projects Dr. Medha Mehendale is honoured with International Priyadarshini Award, Jewel of Tissa. 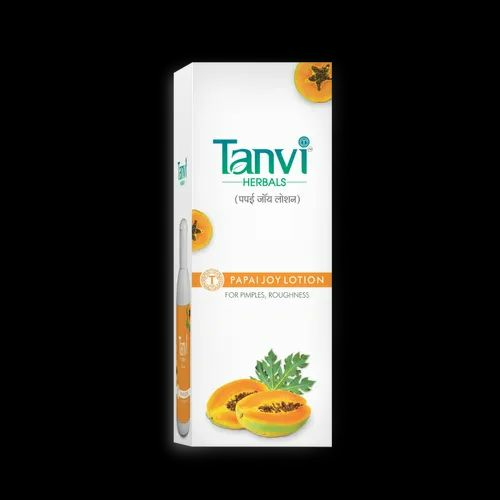 Tanvi Herbals Products have Concentrate Tablets, Oils, Liquids & Powders available at Tanvi Herbal Clinics & Chemist Shops in Thane, Mumbai and Maharashtra. Free Health Check up and Consultation by our Tanvi Panel of Doctors at Tanvi Clinics at Thane, Dadar, Badlapur, Pune and many more.